The concert of nations just gained a new member. Irritated by the clashing of governments, which struggle to harmonize on global problems, Madeline Hung and Simon Anholt decided to create their own geopolitical instrument. This new country comes not from any state dissolution or partitioning, as it has no borders. 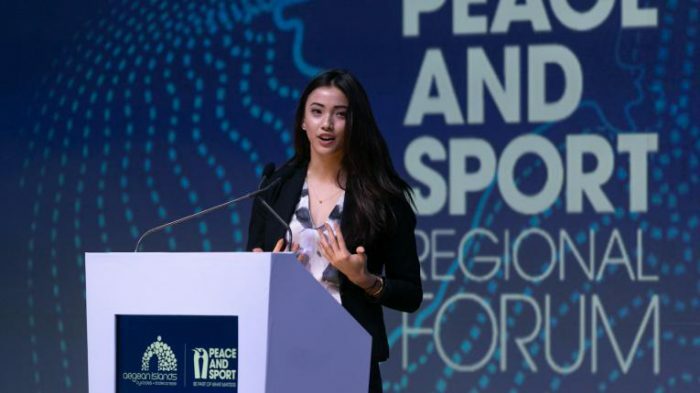 With no land to defend, The Good Country is able to offer global solutions to issues that are being held hostage by power struggles and competition between governments, such as climate change, pandemics, terrorism and economic instability. Hung and Anholt, respectively an American expert on human rights and a British international politics advisor, say that some 760 million people agree on solving these problems through collaboration. Together, these “citizens of the world” could have a considerable impact, and they could eventually change the structure of planetary governance. The Good Country is a borderless country. But where do its creators come from? Simon Anholt is from London, and I’m from San Francisco. At the moment, I’m splitting my time between the two cities. Until the end of high school, I lived in California. Since I was interested in a lot of different things, my passions changed every month. I wanted to become an architect, then a culinary chef, then an entrepreneur. In any case, I had no desire to go into medicine like my parents did. Thanks to them, I was able to visit Spain, India, Cambodia and Jordan. As I discovered these really different places, I realized that people have a ton in common. They play the same games, eat similar foods and often pray in the exact same way. It was really formative. At Harvard, I studied the role of international justice in human rights protection. At the same time, I helped with the work of the NGO Health Leads, which gave people in need community resources in the form of housing and food. I was also part of The Seneca, Inc., a women’s rights advocacy group at my campus. As soon as I graduated, after an internship at another NGO, Oxfam, I led a project on the importance of human rights in business for MSI Integrity in San Francisco. How did you meet Simon Anholt? I discovered him in 2014 while I was still a student, through a TED video in which he presents his project The Good Country Index. It ranks countries by virtuousness, according to their contributions to science, equality, health, peace and cultural diversity. Three years later, as I tried to design a new kind of world government for a contest, I remembered this concept. My idea was to integrate some of these elements into my model. I contacted him via email, and we started working together for the contest on Skype. But as we discussed, we realized that we didn’t want to mess around with hypotheticals anymore. We wanted to launch a project. Our common philosophical basis was simple: in an era of globalization, countries need to act hand-in-hand and less in competition. We needed to change the culture of world governance. After three months of long-distance discussions, I flew to London in March 2017. Did you agree on things right away? We spent hours on different options that could sway institutions like the United Nations. Would it require an organization, a business, a think tank or a lobbying firm? We asked ourselves who was ready to act for a better world according to our criteria. In short, we saw that 10% of the population shared our values. Like I said, people who live far away from each other often have more in common than they think. If they were brought together, they would form the third most populous country in the world. Their influence would be considerable. Our base was already there! We believe that as a state, we succeed more through collaboration. Competition has its advantages, but it’s often too present in international relations. 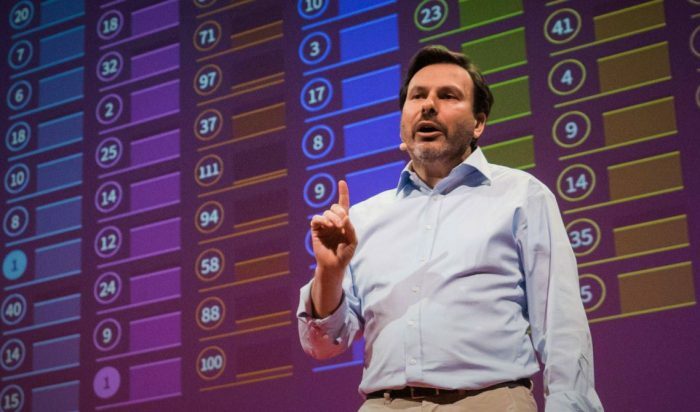 Simon Anholt experienced that when he was an advisor to different countries. We’re not asking other states to dissolve but rather to understand the interconnection of problems and their links at the local and global levels. It’s a win-win. What made you think to start a new country when you believe that countries use an insufficient model? The Good Country isn’t really an idealized nation. We’re not trying to create an avant-garde state that other countries will have to copy. Instead it’s about using an efficient framework to unite citizens of different countries who share our values. We’ve calculated that there are 760 million of them on the planet, and they could have a huge impact if they’re united. We’re not dogmatic: if it worked better to found a football team to advance our ideals, we’d do it. How do you prevent The Good Country from falling through the cracks of existing countries? Already, the fact is that cooperation is at the very foundation of The Good Country. It’s in its DNA. The national interest of our country is the international interest. On the other hand, we have no territory to defend, which saves us money in military cost and minimizes mistrust. Nor do we have to offer state services like social security or minimum wage. Last, we don’t have a government in the proper sense. Instead we want to lay the foundations for participative democracy, free of intermediaries and therefore of elections. How do you become a citizen of The Good Country? Go on our site and fill out a small registration form. It’s not a test, it’s just so you know who we are and what our project is. Then, like in any country, you pay an annual tax. Here, that’s $5. If you can’t pay, you can always get an exemption. Others can pay for you to remain a citizen. We already have several thousand members. The more they come from different places, the more our mission can spread. There’s different levels of engagement among people who have joined, and that’s a good thing. Some just like the idea that The Good Country exists, and others want to be involved in making decisions. Of course, we encourage everyone to participate. At the moment, we’re just now establishing a network of people around the world, but maybe one day we’ll have ambassadors. How exactly will decisions be made? To make it simple, citizens will decide which questions we’ll take on through an artificial intelligence platform. 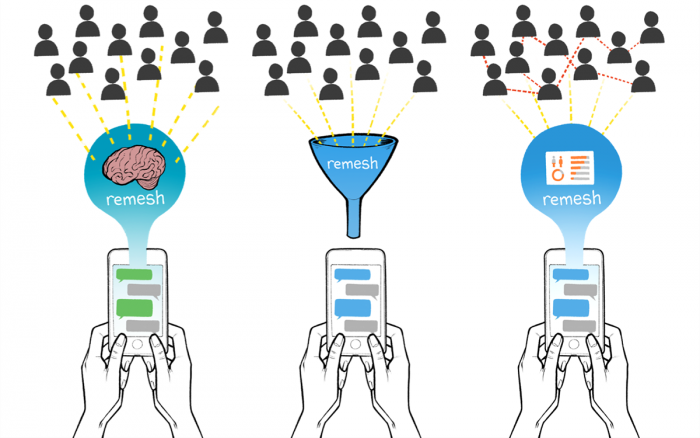 Discussions between citizens will be analyzed by Remesh software in order to identify trends. That’s one way to combine voting and participating, which is richer and more useful than making people choose between option A and option B. Then, we’ll work with experts to define a policy. That will let us know what budget we’ll create to carry out specific actions. If countries want to replicate our initiatives, feel free. Ideally, we’ll lead them alongside them or with institutions like the United Nations. We’re aware that some measures will be more coherent if they’re applied to certain communities while, on the other hand, writing a treaty will affect several stakeholders. In all cases, it’s important that our citizens have some understanding of the issues, so they’ll get plenty of information on them. What are the next steps for The Good Country? Governments, United Nations members, organizations and businesses have already expressed their interest. From our respective experiences, Simon and I have put together a network of experts, and we’d be happy to extend it further. We want to approach new experts on a case by case basis, depending on the subject at hand. Biosecurity and climate change can’t be handled in the same way. While we’re waiting to launch a new version of our site in January 2019 and to present our calendar for the year to come, we’re giving conferences and interviews. In the meantime, we’re going to talk about The Good Country in different countries and meet our community of citizens. Before we act, we need to attract more people. Even if the challenges are great, the enthusiasm we get encourages us. We’re open to new ideas and ready to respond to questions. Can There Be Clean Energy?